Going to Tasmania and its capital, Hobart? Be sure you pass through the district of North Hobart, positioned a kilometre northwest of the middle of town. If you're looking for the sights of Hobart, you should get to the Cascade Brewery, theatre Royal and Mt. Wellington. Stand aside and marvel at the neat, distinctive engineering of Tasman Bridge, a bridge like no other. If you'd like to hit the hay nearby, try The Henry Jones Art Hotel and The Corinda Collection. The expert vintners at Sullivans Cove are eager to tell you all about their winemaking system. Take the time to have a tasting or two before choosing a wine to have later. Try the Islington Hotel and Somerset on the Pier Hobart to be near this spot. 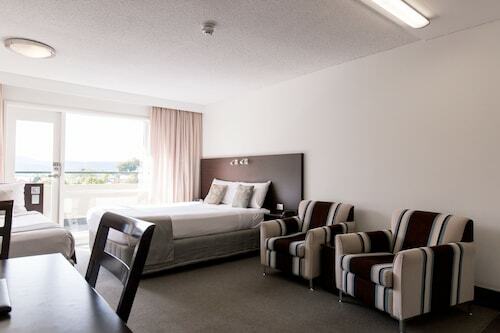 The Lodge on Elizabeth and Elms of Hobart are more luxurious hotel options in North Hobart. That said, don't stress if you are travelling on a budget, because North Hobart boasts a number of accommodations for all travellers. There's no better way to jumpstart your day of sightseeing than at one of the excellent cafes of North Hobart. A caffeinated beverage at Central Cafe Bar should do the trick. When you start thinking about dinner, go and check out The Old Woolstore Apartment Hotel. The mains may be delicious, but don't forget leave some room for dessert! 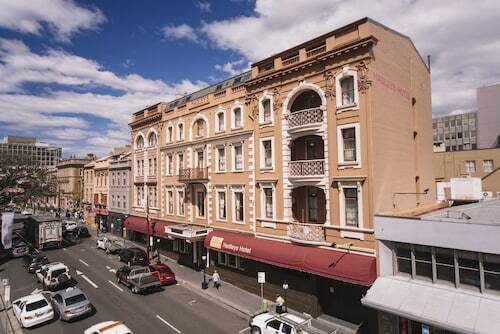 Are you having trouble finding the right North Hobart hotel deal? It is worth researching the accommodations in the Glebe hotels guide and the Wotif Hobart CBD hotels guide. Wotif can hook you up with some great accommodations in North Hobart, so when you're ready to experience Hobart, we're ready and waiting to take you there! How Much is a Hotel Room in North Hobart? Hotels in North Hobart start at AU$110 per night. Prices and availability subject to change. Additional terms may apply. Friendly, helpful staff. Beautiful setting right on the beach. Lovely friendly staff on the front desk. 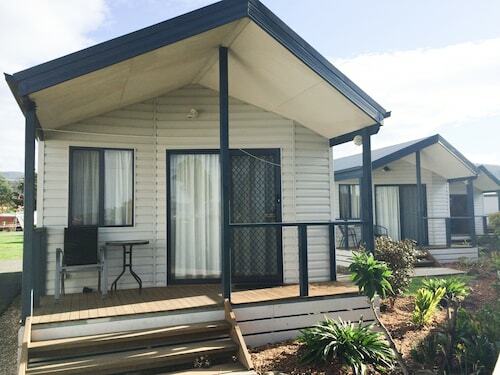 Excellent location, great view, clean rooms. Love that serviced every day. Only negative is we had a triple room and all the pictures showed an apt with downstairs lounge and this is what we thought we were getting.